A new trophy with vehicle camouflages already in the game! We present to you “The Valkyries”! This time we selected 40 camouflage variants from 27 authors from WT:LIVE! - 21 for ground vehicles, 18 for planes and (for the first time!) one camo for helicopters! "The Valkyries" trophy drops with a specific probability and periodicity in random battles in all modes (except for the cooperative PvE “Assault” mode). 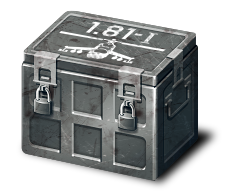 The minimum requirements for obtaining a trophy: participate in a battle in a vehicle of rank III and higher whilst achieving 50% of activity or higher. Along with the new trophy, two old ones can also drop, but the probability of obtaining a new trophy is much higher. The rarity of the camouflage will be determined by its popularity on the Market. In addition to a camouflage you can get "The Valkyries" decal or coupon for a rare vehicle. To open the trophy, you will need a new "The Valkyries" key, which can be purchased on the Market for GJN. For the PlayStation 4® and Xbox One players the key and trophy will be available for Golden Eagles in the in-game item shop.